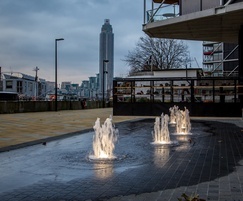 Riverlight is a residential development by St James in the heart of Nine Elms in West London. 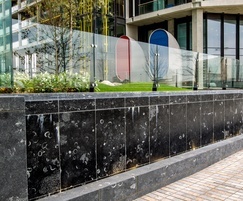 Designed by Rogers Stirk Harbour and Partners, the scheme comprises six ‘Pavilions’ set in green spaces designed by Gillespies. 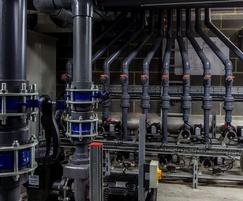 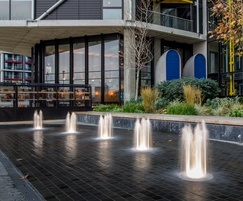 The green spaces include eleven water features operated from three plant rooms located in the car parks and basements. 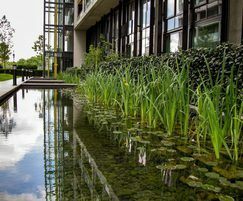 The water features include water walls up to 30m long, large natural lagoons with lilies and other aquatic planting, dry plaza style fountains, and large mirror pools. 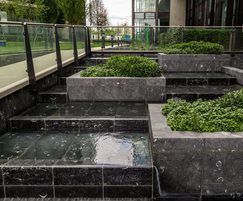 Much of the landscape is open to the public and can be enjoyed along with the river views. 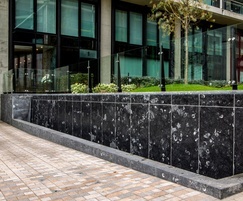 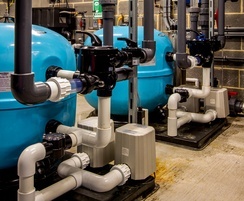 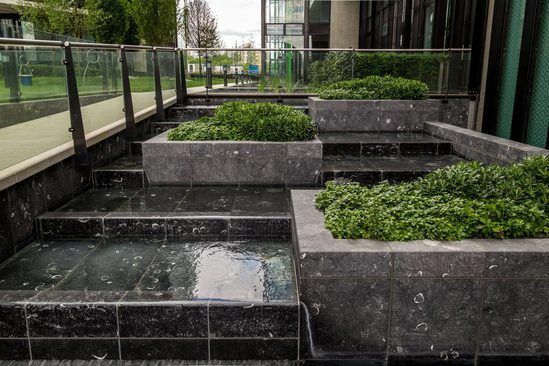 The water treatment systems vary according to the type and style of the water feature and include both chemically treated and naturally treated systems not previously used in the UK.